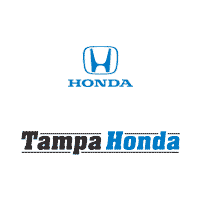 Why Buy tires from Tampa Honda ? When your Honda is equipped with the right tires it will perform at maximum handling and help contribute to excellent fuel efficiency. At Tampa Honda we keep over 100 tires in stock and we have a state of the art alignment machine to keep your tires in excellent condition. A Total value of $299.95 Free with the purchase of a set of tires. Our factory trained and certified Honda technicians will ensure that your tires are mounted, balanced and inflated to match your Honda vehicle’s specifications.